Beginning as a certified safety management company providing services to a wide variety of industries and clients, DAX is diversifying into other markets leveraging its skills and experience to continue to grow. The following is a brief chronology of DAX history. DAX Safety and Staffing Solutions, LLC was founded in 2006 to focus on contract safety management services to firms of all sizes involved in a variety of construction projects. We have enjoyed a successful relationship with many companies as listed under Clients. With DAX, you get a partner that integrates into your project seamlessly. 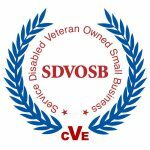 In 2013 DAX was certified as a Service-Disabled Veteran-Owned Small Business by the Small Business Administration. In 2017 DAX received approval as a Mentor-Protégé under the All Small Mentor-Protégé Program for an agreement between DAX Safety & Staffing Solutions, LLC (Protégé) and THMed, LLC dba Medestar (Mentor). This partnership allowed DAX to compete in the federal marketplace for locum tenens staffing health care providers. Learn more at DAX Government Solutions. DAX received approval as a Mentor-Protégé under the All Small Mentor-Protégé Program for an agreement between DAX Safety & Staffing Solutions, LLC (Protégé) and GBA Builders, LLC (Mentor). This partnership allows DAX to compete in the federal marketplace for general contracting services. DAX achieves continued success in all its business endeavors and is known for its commitment to customers and high quality delivery of its services. Contact us directly to learn what we can do for your specific business and/or project. He even spent a stint with the Kansas City Fire Department focusing on emergency support, hazardous materials and also becoming an emergency medical technician (EMT). Jeff also served our country in the United States Marine Corps active duty during Desert Storm and subsequent reserves. OSHA and Department of Labor Construction Safety Certification Recognition. Jeff earned his Master of Science Degree in Industrial Safety Management and a Bachelor of Science in Criminal Justice, both from Central Missouri State University. Responsible for the development of business partnerships and executing the business plan and new business strategies. Brent is the single point of contact with our Locum Tenens partner, Medestar. Brent’s background includes extensive experience in the residential construction industry. Prior to joining DAX, Brent was an active private general contractor and construction project manager hiring and supervising staff and subcontractors, project management, working with clients and acting as a resource. He was also directly involved with all phases of pre-planning, project feasibility and marketing. First Aid/CPR certified, Automatic Defibrillator. From 1995-2003 Brent was Director of Operations at Electronic Data Systems, responsible for $150million in gross revenue supporting multiple locations and clients across the U.S. So, when you need to implement a Staffing and/or Safety program as part of your government bid, as a Disabled Veteran Business DAX is the company to call. Need to learn more? Our staffing qualification/selection process follows strict industry standards and in many cases depends on the project. We do the recruiting, qualifying, screening, interviewing, training and hiring.